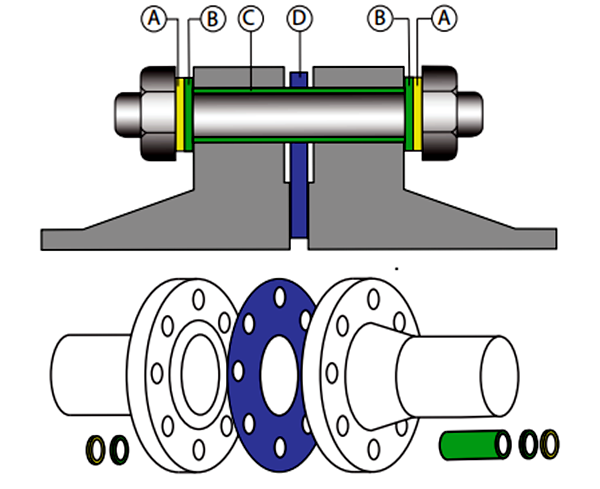 design for all types flanges. Gasket Materials including: Phenolic, Neoprene Faced Phenolic, PTFE, G7,G10,G11. Type E is a full-faced gasket with the same outside diameter as the flange and precision cut bolt holes. 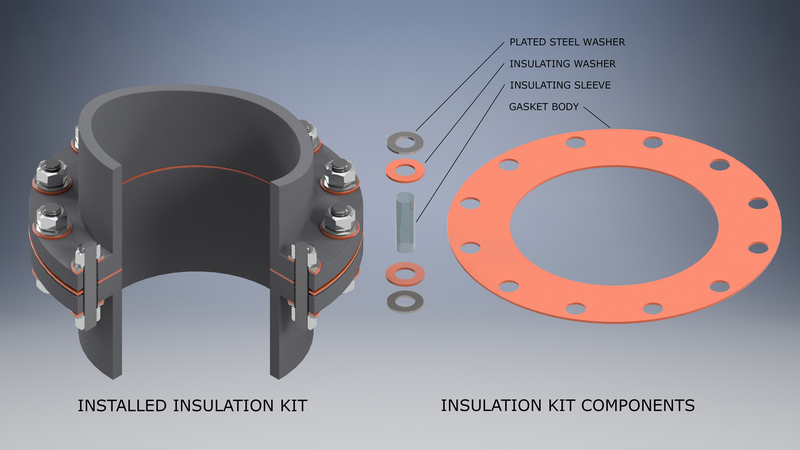 This design facilitates proper alignment of the gasket during installation and foreign material prevented from shorting the flange isolation. Type E gasket are available in plain face or Nitrile faced phenolic, as well as variety of high temperture materials.